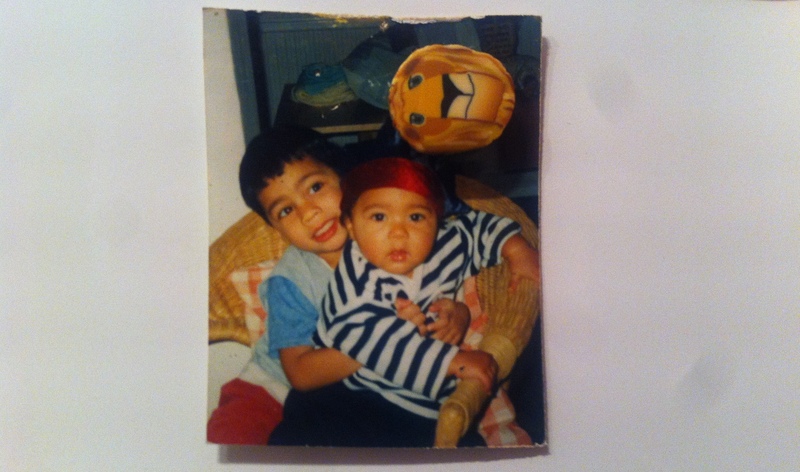 As a Black-mixed kid growing up in England, the question of home permeated many conversations. 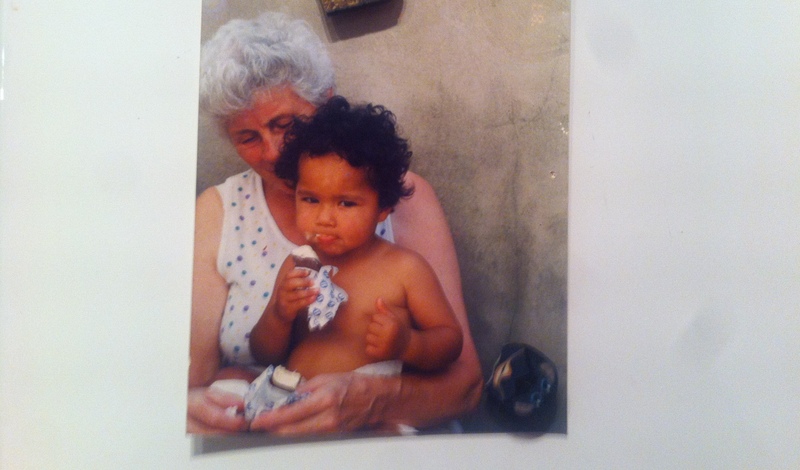 As a Black-mixed kid, whose skin was much lighter than their mother’s, and the strong American accent of my mother’s being so different to my own, the question of where is your home? was often asked by those I encountered – and, for many years, I did not know the answer. Although the red bricks of my council house in Bristol fitted the restricted definition of where I lived, I did not feel as though they held the complexities of myself in order to call them home. Could these bricks fit the depths of my queerness? Did these bricks tell you that my mother’s family live in America, that we are African-American mixed with Filipino and native roots, that my father, who is not present within these bricks, comes from a confusing mix of French, English and Jewish roots. Does saying that my ‘home’ for 18 years of my life was the red bricks of that council estate, and then later the yellow walls of my university halls, and now the cream walls of my loving student house – tell you of all the places I’ve found peace, tears, trials and parts of myself throughout my life? Arguably, no. I feel that it is impossible for bodies of the African diaspora, especially bodies that are beautifully blended with queerness and transness like my own, to ever simply answer the question of ‘home’ with one answer. I feel that when our bodies and the stories they behold have been stood on by colonisation, displacement, trauma, discovery, re-discovery and the effects of multiple oppressions: the answer of ‘where is home?’ becomes far more complicated. It is with this in mind that I feel that for my Black, queer, non-binary, mixed-race self, the process of redefining what ‘Home’ is has opened myself to a multitude of possibilities in defining myself, and finding comfort in multiple places. Taking the definition of ‘home’ being a place where you have lived, and transforming it to mean a place where I could have lived, or that my mothers have been, or a room I have loved, or an area that I discovered something in – for me – changed the idea of home to somewhere that I have experienced something (or could have experienced something) – and opens myself into a plethora of possibilities that begins to reclaim my body in these spaces. Home is where I found my queerness. Home is where I tried on lipstick for the first time in a friend’s bedroom, trembling with nerves at the prospect of what it could look like, yet rejoicing with excitement at the image of my new colourful lips. Home is in the bedroom in which I kissed a boy for the first time. Miles away from my old postcode, yet now holding a place in my formative memories forever. Home is in my best friend’s house. A place, where we spent countless years in groups of confused teenagers, making out far too much, drinking just enough, and talking for hours about parts of ourselves we were yet to discover. Home is in the changing room in which I tried on a dress for the first time. Small and closed in, yet with just enough light to take a selfie that is still yet to be deleted. Home is in the community of Queer Black and Brown friends that I’ve met in the past two years, the evenings sharing dinner and the nights cheering on each other’s art. Home is in the conversations I have learned and gained from by sharing with them. If home is defined as somewhere that you live in, and the queerness I hold lives within my body, then surely all the places that I have found this queerness in have held, or hold, a home for it – and by extension – have been a home to me. Home is where I found my Blackness. Home is inside my mother’s tales of her childhood and survival. Home is placed in between my old braids and the dust of my afro comb. Home is in the brownness of my skin and how it glows after being in the sun. Home is in San Francisco, Portero Hill, where I’ve never lived yet where the streets raised generations of my family. Home is in Africa, where my history once was, yet I will never know. Home is in the music of soul and the black notes in the piano. Home is in my brother’s eyes and my auntie’s smile. Home is in lumpia being eaten by my great grandmother. Home is in the stories of Black trans resistance told to me over coffee. Home is in the first time I realised my skin was beautiful. If we place ‘home’ alongside feelings of being loved, or moments of personal signifcance, then the definition widens to integral parts of where I have found my Blackness – and opens to a much broader sentiment of many places. So does this work? Is listing all these places taking the power of the word home away from itself? Does this possibly detract from the power of places or things I have mentioned? I would argue no. Home is, when defined narrowly, the bricks of houses that I have once slept in. I have not slept in the smell of my mother’s lotion, or had a bed within the Delta airplane flight in 2007 in which I realised I was queer, but in some ways – I have. I think when our bodies, as Black queer and trans people, are so used to being denied placement, safety, comfort and resonance – we deserve to be able to label home in a much broader sense. Seeing as our history has already been riddled with unwanted displacements of home, and so many spaces reject us from being able to call them home, I found placing the word home onto other parts of my history as an act of reclaiming spaces that I have been. I may never own a ‘home’. I may never feel fully safe in an environment and society that systematically works to invalidate people like me. Yet, if I can start placing parts of myself in locations, things, people, or moments that I have once felt all the emotions that are usually described alongside home – then maybe on a minimal level I start to reclaim this idea of displacement inside of me? As a queer person who is constantly trying to find ways to unlearn the normative narratives that are bestowed upon us, I believe that ‘queering’ what we mean when we talk of home is a way to create space and placement for us in a world that so often tries to do otherwise. Now whenever I feel as though I’m on the margins of safety, or as if no part of this world can truly encompass my complexities, I think of the moments or the rooms in which I have once felt home – and breathe a sigh of relief. 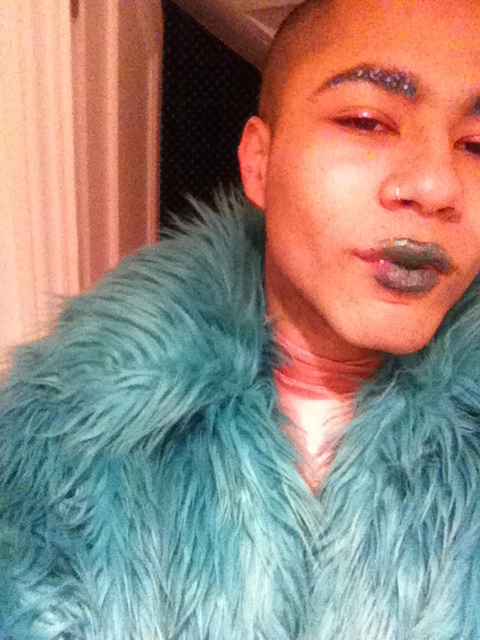 Travis Alabanza is a Black, queer, non binary, femme Kid that lives, studies & creates in London. They are currently the LGBT+ president at King’s College London, and when they are not challenging the white-hetero-cistems of their University, they are writing, performing and watching Beyoncé videos online. Their work is very much inspired by the Blackness in their skin, the strength of their mother, and the flavour of their home’s council estate. Their work has been published in Black and Gay in the UK, Manon, Beyond the Binary and other publications. To hear more from Travis follow them on Twitter: @travisalabanza. They will next be performing with Liv Wynter at the Tate Britain’s Late at Tate Britain on 01/04/16. I read this article and found it very interesting, thought it might be something for you. The article is called Redefining ‘Home’ and is located at http://prancingthroughlife.com/2016/03/27/redefining-home/.